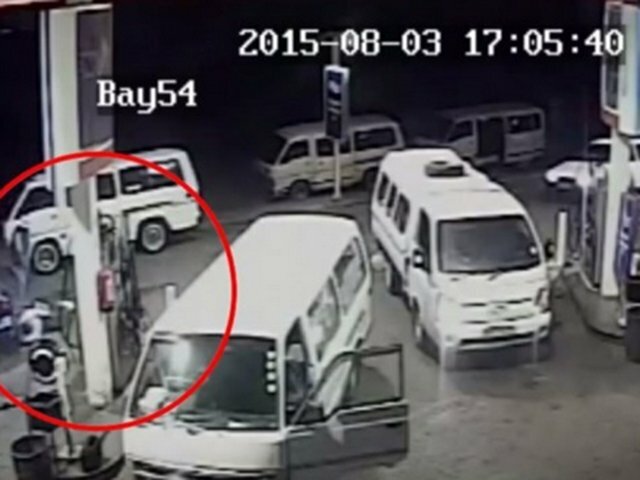 Police are investigating the brutal slaying of a man at an Empangeni petrol station. The murder, which was caught on CCTV cameras, shows the man shot several times at point-blank range. Police spokesperson Colonel Jay Naicker confirmed that detectives were probing the murder, which took place at a service station in Empangeni’s central business district. “It is alleged that a 55-year-old male was fatally shot by unknown suspects while he was at the service station. The motive of the killing is unknown and no arrest has been made at this stage,” Naicker said. The entire attack plays out in seconds, and the man is felled by several rounds before being shot in the back of the head as he lies prostrate on the floor. The gunmen then disappear. Earlier, the Zululand Observer named the murder victim as Soweto taxi boss Dumisani Mthethwa. The publication was unable to confirm whether or not the incident was related to taxi violence.